Don't see your manufacturer? Call us. We're so confident that our filters will meet or exceed your expectations, that we'll refund your money if you are not fully satisfied. Just ship them back, and we'll credit. Nanofiber filters have been designed to create a higher-rated, longer-lasting cartridge filter that outperforms the Farr Hemiplete and other comparable filters. Replacement industrial cartridge filters effectively replace the most popular brands, including DustHog, Donaldson Torit, Clark, Camfil Farr, AAF. All of our replacement filters are built to have a longer filter life and provide cleaner air than industry standards. There are many different industries that rely on industrial cartridge filters to clean the air, so our filters are made to withstand high-volume dust loads in a variety of applications. Our dust collector filter cartridges effectively collect and remove dust from the source point to prevent harmful buildup of pollutants. 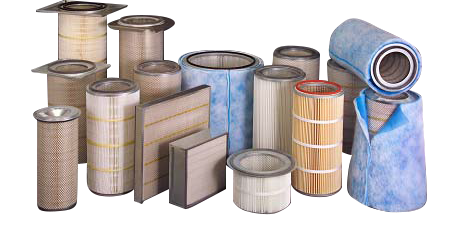 If you want to learn more about our industrial dust filters contact us today!